New coupon alert! 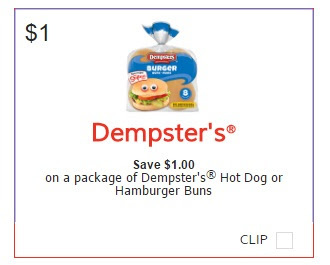 Save $1 on a package of Dempster's Hot Dog or Hamburger Buns! You can also get a second set of this coupon from the Smartsouorce coupon portal here.